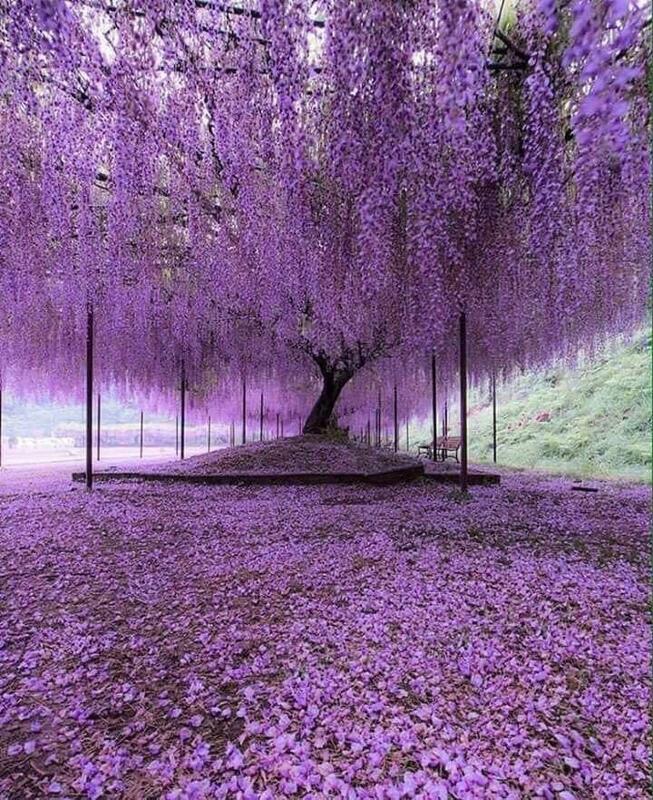 'Looks like something out of a dream....or where you'd hand in a long quest chain to an NPC. 'Oh man can you imagine having to park your newly painted Prius under that stickiness every night in your driveway?! 'All I can think about is that some fictional character from my childhood lived on wisteria lane and I can't freaking remember who! !